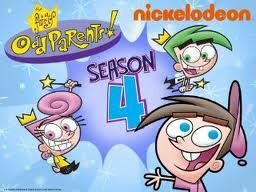 You will Watch The Fairly OddParents Season 5 Episode 4 online for free episodes with HQ / high quality. Stream cartoons The Fairly OddParents Episode 55 Go Young, West Man! / Birthday Wish! Go Young, West Man! – Timmy helps Adam West become a child so that he can have a chance at the childhood he lacked in the past. He convinces Timmy to skip school and instead go out for ice cream, causing truant officer Shallowgrave to begin following him. The Fairly OddParents Season 5 Episode 3 Back To The Norm / Teeth For Two The Fairly OddParents Season 5 Episode 5 Blondas Have More Fun! / Five Days of F.L.A.R.G.